HTMLGIANT / Publishing Genius 2.0 Kickstarter: 28 Hours Left! Publishing Genius 2.0 Kickstarter: 28 Hours Left! George Washington once said, “There is nothing which can better deserve your patronage, than the promotion of science and literature.” Over at the Publishing Genius 2.0 Kickstarter, you can patronize both science AND literature by helping Adam Robinson publish 5 works of literature in 2014. That man has publishing down to a science! Once you contribute, you can enter for a chance for me to double your reward by commenting here. Or right here is fine, too; I’ll check both. Do it for science! Do it because George Washington said so during history! Speaking of history, here’s one of Publishing Genius Press itself. And if you like that dose of amiable reality about the mighty effort and unsurpassed talent it takes to build an independent press empire, you’ll be thrilled to hear that any Kickstarter donation of $25 or more gets you Adam’s e-book, Our Primary Focus, a history-in-interviews of innovations in the book business. 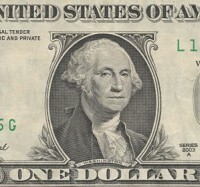 SO hurry hurry and dig out as many pocket Washingtons as you can find and patronize PGP!